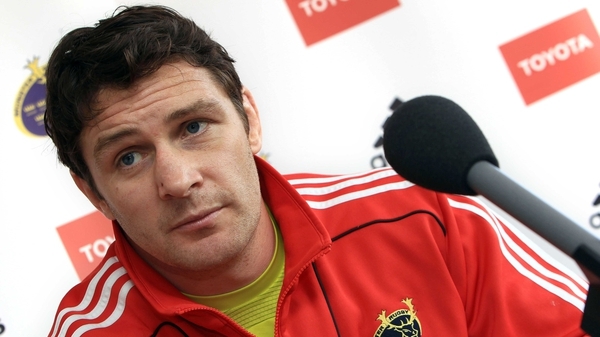 Munster and Ireland flanker David Wallace has announced his retirement from rugby. 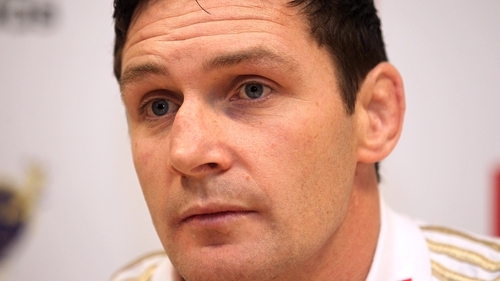 Wallace won 72 caps for the national side and played for Munster on over 200 occasions, winning the Heineken Cup twice. In addition the 35-year-old toured twice with the Lions (2001 and 2009). Wallace won the Grand Slam with Ireland in 2009 and also played in the World Cup in 2007. David Wallace (twitter): "Thanks to everyone for all your support down through the years. It's been a great time in my life and I'm looking forward to the future." In a statement on the Munster website, Wallace said: "Although it's disappointing that injury is forcing me to retire now, I take great comfort that I've had an unbelievably enjoyable career and I feel very lucky to have been involved in an era that has seen Munster and Ireland enjoy so much success. "Professional rugby has exploded in popularity and changed beyond all recognition in this country since I began and I feel honoured to have played witness to its massive improvement. "I'd like to thank anyone who has helped me and had faith in me during my 15-year professional career including family, team-mates, coaches, medics, friends and not least supporters. "I will be looking to step away from rugby and explore a few different business opportunities while also looking forward to being able to spend more time with my wife Aileen and sons, Andrew and Harvey." Wallace missed the 2011 World Cup after suffering a knee injury in a warm-up game against England. He is the fourth experienced Irish player to call time on his career recently after long-term injuries forced Shane Horgan and Jerry Flannery to quit and fellow Munster forward Mick O'Driscoll also decided to hang up his boots at the end of the season.